The ability to determine spatial relationships is important in everyday tasks. You need to interpret what it means to “stand first in a line”, “sit in front of Johnny” or “put the pencil on top of the paper”. If a child has difficulty perceiving spatial relationships it can affect motor skills, body awareness, problem solving, activities of daily living and overall performance in school. 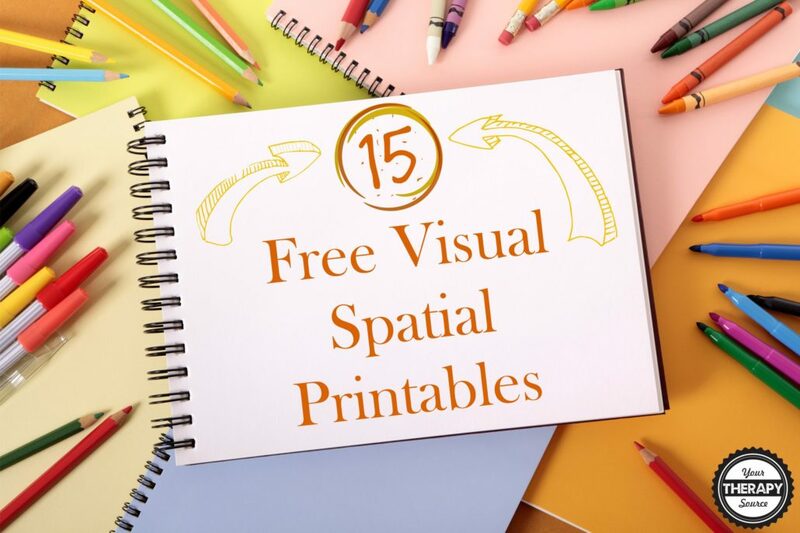 This is a list of 15 FREE visual spatial and visual motor printables from Your Therapy Source. Check out more seasonal and holiday visual perceptual activities and printables!